On the one hand, your blog tends to get the bottom pile, backlog version of your best ideas, which are saved for (potential) paid publication; on the other hand, after querying and researching and syncing your words with whatever brand you’re lucky enough to land that month/day/week, it’s like coming up for air to write whatever the hell you please for friends, or at least, friendly, generous readers who have formed a little community around your site. On the one hand, blogging is something of a distraction from bigger projects that involve more risk and revision, requiring more gestation to discover what they actually are — I’m thinking of the collection of short stories I’ve decided to start for which this blog post, in part, is a thinly veiled form of procrastination. Then again, there’s something life-giving and soul-soothing, and less narcissistic than Facebook, I think, about being able to scroll through your past reflections when you’re feeling down or disillusioned. In its simplest form, a blog is a record of experiences — like all writing, a confirmation that this “one wild, precious life” of which the poet Mary Oliver speaks is being lived with a measure of meaning. If you’re still reading, thanks for putting up with all this navel-gazing about blogs. It’s part of a larger conversation I’m having with fellow teachers/writers about the role we want writing to have in our lives. I think it’s a conversation about focus, and meaning. It’s a conversation I find myself having with my husband, too, about where he wants to go with his passions for Irish fiddle and writing poetry, and what does it mean exactly to develop your passion? As I explained to my colleague at the brunch I blogged about last week, I’m realizing that freelancing for magazines here and there is edifying (hah) and fulfilling, in its own way, and I plan to continue that, but I’m finding that I crave a bigger project, one that’s born out of a desire to write for writing’s sake, whether or not the writing is published or paid for. Which brings me to roasted vegetables… One of my struggles with the Paleo lifestyle is the same struggle I speak of with writing… This need for immediate gratification, and this reluctance to put in the damn time for something that is primarily created for, and consumed by…yourself. If blogs are raw carrots in the food universe, then surely my student Kumari’s manuscript — a fantasy novel about wolves that she has been writing for four years that her English teacher (ahem) encouraged her to revise (with my help, ahem) for another year before she submits it to a literary agent — is balsamic roasted sweet potatoes and Brussels sprouts. Meanwhile, my husband’s book-length files of poetry and extended essay on the meaning of organized religion is more green beans with onions, mushrooms, and peppers than ants on a log. I write this to encourage myself, and any readers that I may have (hello! thank you for reading!) to take it slow, and pursue any passion project — with the patience and pureness of heart that passion requires. Today I had the privilege of observing my students participate in a workshop by Antony John, a young adult novelist who happens to be a parent at the school where I teach. We are at the beginning of our short story unit, and I told my students I would write a short story with them. The two short stories I am in the process of writing for my “collection” are semi-autobiographical and deal with rather personal, adult themes, so I needed to start from scratch. Inspired by an article in the Feb 13 & 20 New Yorker called “Valley Cats: Are L.A’s Mountain Lions Dangerous Predators or Celebrity Guests?” I thought I’d put myself in the position of lion P-45, who has a cult following of sorts but keeps eating people’s pets. When my student Sophia asked how to get unstuck when you’ve started a short story but don’t know how to finish it, Mr. John returned to the idea of character and embodying them like an actor to figure out what they would do. Also, he pointed out that that we often start short stories with an opening scene in mind, and figuring out the plot, aka, getting unstuck, involves working backwards: what events led to this opening scene? Before the students came back from lunch, Mr. John and I had a brief conversation about the challenges of setting parameters for story writing versus poetry. I’m no more an amateur short story writer than I am an amateur poet, but I find short stories a lot harder to teach than poetry. He mentioned that his visit to last semester’s classes occurred two weeks before the election, and now, in the Trump universe, he’s been reflecting on the broad value of storytelling as a form of empathy. In that vein, he encouraged my students to draw on what they know, but to veer from the autobiographical and create composite characters. Thinly slice the onion. Thinly slice the mushrooms. Cut the bell pepper into thin strips. Fill a large bowl with ice and cold water. Place the ice bath in the fridge. Salt some water and bring it to a boil. Blanch the green beans in the salted water for 20 seconds. Drain them and immediately plunge the beans into the ice bath. Heat some ghee (clarified butter) in a large skillet over medium-high heat, and swirl to coat. Once the fat is hot, add the sliced onions, and cook until translucent. Add the mushrooms, and cook, stirring, until they begin to soften. Add the peppers and cook until both mushrooms and peppers have softened to your liking. Turn the heat to high, and add the green beans. Toss and stir the pan, cooking the green beans with the other vegetables for a few minutes longer. Season the mixture to your liking with salt and pepper. Boil the vinegar and then reduce to a simmer — you want it to be reduced by about half, 20 to 30 minutes. Meanwhile, peel and chop your sweet potato, slice your red onion, mince your garlic, and trim and halve your Brussels sprouts. Then mix the chopped sweet potato with some melted ghee in a bowl. Spread it on the lined baking sheet. Add some ghee to a large skillet over medium-high heat. Swirl to coat the pan. When the fat is hot, add the Brussels sprouts and cook for a few minutes, allowing them to brown. Add the onion and the garlic for about a minute. Season the mixture with salt and pepper. And the sautéed veggies to the sheet pan of sweet potatoes and spread everything out in an even layer. Roast for about 15 to 18 minutes, until the sweet potatoes and sprouts are tender. Drizzle the pan of roasted veggies with the balsamic reduction. Posted in Musings, Recipe Reviews and tagged blogs, creative writing, creativity, education, freelance writing, health, roasted vegetables, short stories, Whole30, writing. Bookmark the permalink. It seems appropriate, following the anniversary of so much death and destruction, to share the Buddhist Lovingkindness meditation, something I’ve been practicing lately in honor of September being National Yoga Month. Just kidding — I only know that September is National Yoga Month because of a few instructor shout-outs at my gym, whose classes, if we’re honest with ourselves, definitely lift our collective mood for their powers to tone and tighten, but can also remind us, spiritually speaking, of our inherent interconnectedness, even if it’s just a momentary “ohm” that does it. 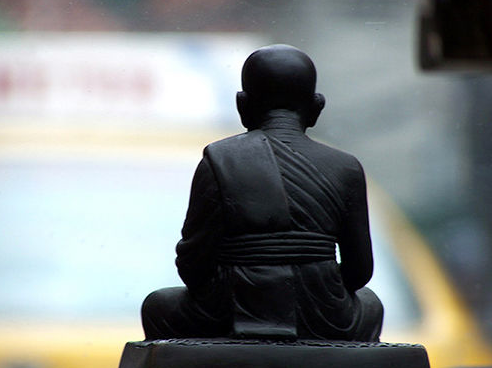 The lovingkindness meditation falls into the category of “psychological Buddhism,” where we integrate certain principles and practices of the Buddhist religion into our lives for therapeutic purposes. On September 11, 2001, I distinctly remember being despondent and silent as I rotated through my set of high school classes, and being unable to stomach any food. As a matter of fact, I remember my mom made lasagna that night. Hah, my sharp memory for all things edible has been with me long before I became one of those people who takes pictures of food and blogs about recipes. As I pushed it around on my plate, my dad, with his characteristic rationality, put things into perspective by pointing out that this was the first national tragedy that my brothers and I had lived through. Actually, I think he used the phrase “our generation,” words that somehow normalized the awful, horrific events of the day. “Pathology” is the study of diseases. The lovingkindness meditation falls into the category of positive psychology, with its emphasis on recognizing our spiritual interconnectedness with people and the environment, and by reminding us of our potential to subtly affect the outside world by projecting positive energy. 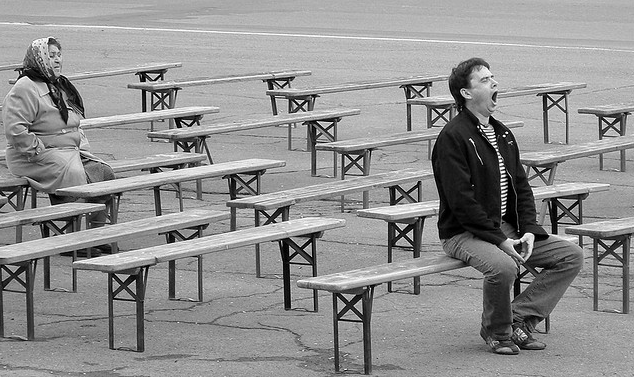 To achieve this state of mind takes decades of mindfulness training — mindfulness, I also know from personal experience, from practicing “psychological Buddhism,” means to observe your experience in the moment, from your environment to your own thought process, and distinguish between reality, versus subjective ideas or beliefs that you are projecting onto that reality. In my opinion, there’s something so eye-opening and soothing about this concept of the self, however much it clashes with Western culture. It’s so refreshing, may because of “the dynamic flux,” element, which suggests that the self is eclipsed and the universe at large is broadened, buzzing. At church, I often find myself wrapped up in my own, individual worship, and then it takes a conscious internal reminder to simply look up and acknowledge the other Christians who are present with me, undergoing the same weekly, re-conversion. Psychological Buddhism, and the lovingkindness meditation in particular, gives me a chance to broaden my immediate awareness. I think it benefits us all, so here are two versions, borrowed. (One’s a transcript and the other is an audio download.) Namaste. Posted in Musings and tagged Buddhism, health, history, mental health, musings, philosophy, psychology, self-acceptance, September 11, spirituality, therapy, yoga, Zen. Bookmark the permalink. 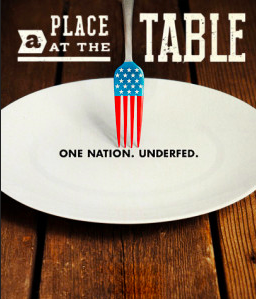 I recently watched A Place At The Table, a follow-up documentary to the critically acclaimed Food Inc. This next installation puts a human, American face on food insecurity, piecing together the different causes and manifestations of hunger in the United States. Sadly, the terms food desert and food insecurity are familiar to most people now. Nonetheless, the filmmakers document the wide-ranging extent of these realities to set the scene: convenience stores are the closest thing to grocery stores in parts of West Philly and rural Mississippi. The source of tomorrow’s meal worries a single mother with a full time job and an extended family living together in rural Colorado. I was surprised to learn the extent to which federal agricultural legislation perpetuates this cycle of hunger. 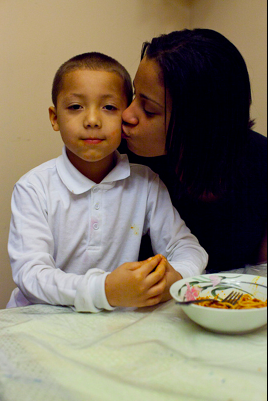 The face of hunger takes many forms: Barbie is a single mother living in Philadelphia. She is shown boiling spaghetti with her two, pre-school age children, explaining that she has recently been laid off and is supporting her family on food stamps. On public transportation, it takes Barbie a total of two hours to buy fresh groceries. She describes her own vivid memories of sphagettios and ramen noodles, and her determination to prevent these memories for her children. Meanwhile, a mild mannered second grader named Tremonica climbs onto the examining table of a local clinic in rural Mississippi. The lack of accessible, healthy food is affecting her weight. Her teacher is later shown exhibiting “a honeydew melon,” inviting her students to call out adjectives. Tremonica is shown cautiously biting into a juicy slice. Rosie is a sixth grader living in rural Colorado. It recently came to her teacher’s attention that Rosie’s academic and behavior struggles were caused by hunger. Rosie says that she sometimes sees a banana in place of her teacher. She seems sensitive, excitable, and lonely. Members of her extended family juggle various part-time jobs; they share a messy household. She gives the cameras a tour, complaining about the clutter, then shares her getaway spot in the woods. How did we mire ourselves in a situation where “honeydew melon” is a novelty and factory-made spaghettios are spilling off our shelves? It’s not that I have disdain for spaghettios. On the other hand, I can’t tolerate people who only eat organic, grass fed chicken. Essentially, our government subsidizes food that is making us sick. By allowing packaged foods to be made very cheaply from refined, processed corn products and strong arming independent-minded farmers, the government makes really nasty, unhealthy, artificial junk available to the poor and limits the availability of fresh produce. In addition to being cheap, this food is very addictive from a biological standpoint. The corruption aspect lies in the fact that most food industry regulators started their careers as agribusiness leaders, CEOs of highly centralized, heavily subsidized farm-to-factory companies. 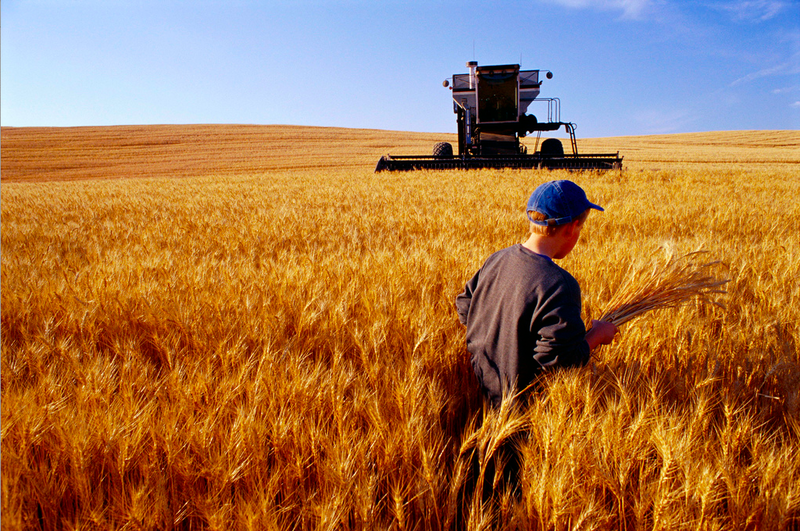 According to this film, the power of food and agricultural lobbyists rivals that of the NRA. Really, now? The manufacturers of food — basic sustenance — qualify as a “special interest group”? The film shows a clear cause-and-effect relationship between money, fear, and the U.S. government’s perpetuation of food-related health issues. This is demonstrated by a grieving mother who has lobbied Congress about food safety laws ever since her son’s fatal E. Coli poisoning. After several years, her efforts have not yielded any concrete results. Bound by legal concerns, she minces words with the filmmakers, but her reticence speaks volumes about the power of agribusiness. Meanwhile, a pediatrician and a group of women activists lobby Congress for school lunch funds. Congress “does not have the funds” to spend more than $1.00 per lunch. Posted in Movie Reviews and tagged documentaries, education, food, food insecurity, health, hunger, kids, politics, poverty, single mother, women. Bookmark the permalink.